Adams Oshiomhole’s victory is unprecedented in the history of Nigeria. He won virtually in every ward of the state except in just one or two. No other governor that I know of has had that kind of victory in this country in the past. 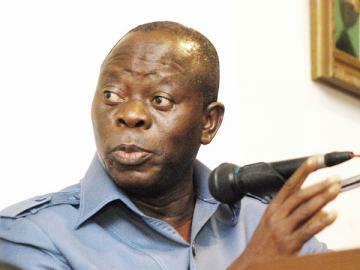 No matter what, the opposition would get some sympathy votes in their constituency; but Oshiomhole defeated the “Mr. Fix it” of PDP, Chief Tony Anenih in his ward and also convincingly trounced the PDP candidate Charles Airhiavbere in his domain. In fact, he beat all other contestants in their various domains. He is truly the darling of the people. 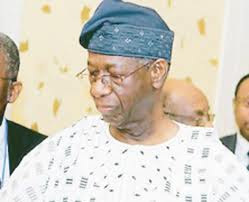 Chief Tony Anenih’s defeat in his ward at Uromi for the second consecutive elections is a clear indication that he has lost grips on he held on to tenaciously for years. This defeat has promptly some reactions from within the PDP with the party leaders threatening to bring up Chief Mike Ogiadomhe, the Chief of staff to President Goodluck Jonathan as a possible replacement for the self acclaimed political gladiator of Edo state. The landslide victory of the Action Congress of Nigeria in Edo state is a clear case of a people who have made up their mind not to allow thieves and treasury looters to rule over them anymore. The PDP fooled them for 10 solid years without any tangible development all through the period they ruled the state.Comrade Adams Oshiomhole brought developmental strides to the state – he upgraded schools, rehabilitated the bad roads, constructed new ones, controlled the erosion that became a menace to the people for years, revamped the state’s transport system, upgraded the hospitals, gave free healthcare to pregnant women and retired civil servants, etc. The people saw in him a messiah that had come to stop the infrastructural decay in the state. "President Goodluck Ebele Jonathan congratulates Governor Adams Oshiomhole of Edo State on his re-election yesterday for another term in office. "President Jonathan also commends the Independent National Electoral Commission, its personnel and the nation’s security services for ensuring that the elections were free and fair in keeping with his administration’s commitment to continually strengthening democracy in Nigeria through the establishment of a more credible electoral system. "The President urges Governor Oshiomhole to receive the fresh mandate given to him yesterday by the people of Edo State as an endorsement of his outstanding performance in his first term and an expression of their desire for a continuation of his focused, purposeful and dynamic leadership. "He expects that the Governor will work even harder in his second term to justify the confidence in his leadership clearly expressed by the Edo State electorate yesterday and assures him that the Federal Government will continue to give all possible support and assistance for development in the state. "President Jonathan wishes the Comrade-Governor continued good health and a successful second term in the service of Edo State and Nigeria." It was the PDP candidate himself who first commended INEC for a job well done. Comrade Oshiomhole had earlier on lampooned the Electoral body for their poor performances following late arrival of electoral materials and the fact that some names were missing from the voters register. By the successful conduct of a peaceful election in Edo state, Professor Attahiru Jega has once again given Nigerians a reason to believe that the Electoral reforms in the country is working and that the ruling Peoples Democratic Party (PDP) could be defeated even with all Federal apparatuses at their disposal.